Fair Play in Sport presents a critical re-working of the classic ideal of fair play and explores its practical consequences for competitive sport. 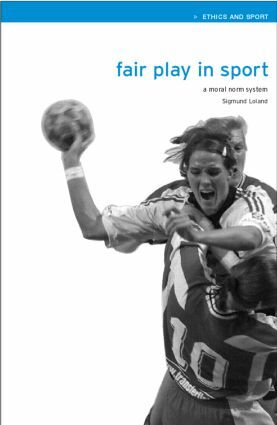 By linking general moral principles and practical cases, the book develops a contemporary theory of fair play. * the key values of competitive sport. The notion of fair play is integral to sport as we know and experience it, and is commonly seen as a necessary ethos if competitive sport is to survive and flourish. Fair Play in Sport provides an invaluable guide to the subject for all those with an interest in ethics and the philosophy of sport.